Read Lauren's review of Life Itself. 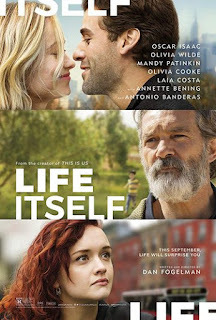 Life Itself centers on a couple (Oscar Isaac and Olivia Wilde) which leads a multigenerational love story spanning both decades and continents, from the streets of New York to the Spanish countryside, and are all connected by a single event. Life Itself is in theaters on September 21st, 2018. I’m going to start this review by saying, sappy love story movies really are not my thing. 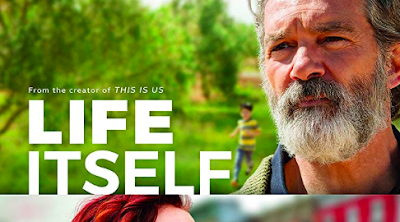 I don’t watch This is Us for that reason, so I’m not sure I was ever going to LOVE Life Itself. I kind of hoped it would be a bit deeper than I expected and have some cool twist that made it all worthwhile. It didn’t. Life Itself follows around 3 different stories and families in an effort to show that fate exists and sometimes things are meant to happen no matter what. We watch Oscar Isaac and Olivia Wilde as a young couple in New York go through their romance into ultimate tragedy that affects their daughter, Dylan and expand into the lives of a family living in Spain whose son witnessed this tragedy as well. Every action is meant to show that things happen for a reason and how journeys can align. I understand the premise, but this just turned out to be way too predictable and ultimately unrealistic. Oscar Isaac played a WAY too obsessed, borderline stalker of Olivia Wilde. I didn’t find him charming or loving at all, I honestly found him way too creepy and selfish. We’re supposed to believe he was in a fraternity doing keg stands, but also ready to marry Olivia Wilde’s character Abby the first moment he met her? No, I don’t think so. After their story unfolds, the last 2/3 of the movie really dragged on. It was confusing and took far too long to tie everything back into the original story we started with. In the end, everything has tied back in a very sappy way and there’s a happy ending, but by that point I was so checked out of the movie, I didn’t care. If you’re a die-hard This is Us fan, maybe this movie is for you. It had a lot of “love conquers all” type storylines and was meant to make you feel like everything happens for a reason. Like I said, this is not my thing. I was almost laughing at how corny it was getting and would not recommend spending money on this in the theaters. Wait until it’s released OnDemand and rent it during a girl’s night (I recommend a lot of wine to get through this movie).